It is with an unimaginable degree of excitement that I am announcing the release of my documentary on climate change, “400 PPM”! After years of researching, filming, writing, fundraising, and editing, it is finally done. I never imagined that what started as a small project for me would end up receiving the support of people like author and activist Margaret Atwood, former astronaut Col. Chris Hadfield, anthropologist and famed explorer Dr. Wade Davis, and Nobel laureate environmentalist Dr. Brad Bass, and I am so incredibly grateful to my friends, family, and community for all of the incredible support they have given me throughout this journey. Almost two and a half years ago, I traveled to the Canadian and Greenlandic Arctic and witnessed climate change firsthand. In the days leading up to the expedition, I was very excited. I couldn’t wait to see polar bears, I wanted to cruise next to majestic icebergs, and I really hoped I would spot a puffin or two. I wasn’t expecting to learn that the icebergs I was seeing could be some of the last, I wasn’t expecting to meet Inuit people whose livelihoods and lives have been taken away by climate change, and I certainly wasn’t expecting to learn that it was hardly their fault – it was ours. I realized then that those icebergs were our modern day dinosaurs and that we, as a society, were the metaphorical asteroid ushering their demise. The stories I was told of the devastating effects of climate change on the people who live in the Arctic while I was on my expedition struck a note inside me that the statistics I learned about at school never could. I wanted to do something, but when I got home, it seemed that others had become tone-deaf to the issue I cared so much about. So, I decided to share the stories of the Inuit people I met in an attempt to show others what I had witnessed during my expedition. 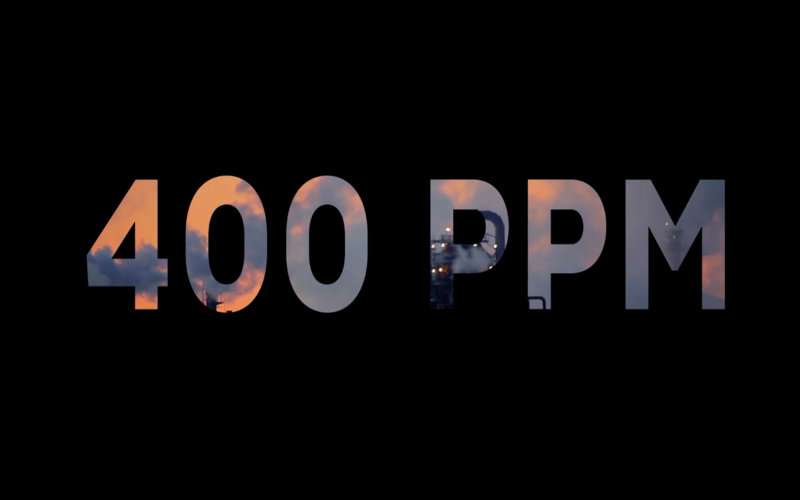 400 PPM tells those stories. The documentary is available to view at www.mayab.ca/400PPM. I hope you enjoy it! Posted in 400PPM Documentary, Arctic, Thoughts.